The tools listed below are designed to enable resident discussion, provide structure, and educate on rights, roles and responsibilities the Residents’ Council has through the Long-Term Care Homes Act,2007. Bylaws are designed to provide guidance and direction. Having bylaws in place will help eliminate confusion and encourage consistency when these are challenged due to changes in leadership, interpersonal relationships and differing opinions. OARC has developed a template to assist your Residents’ Council in developing its own bylaws and is designed to capture important aspects of Residents’ Council in one document. The template is not prescriptive and allows your Residents’ Council to customize all the details. A comprehensive best practices guide written to align with the Long-Term Care Homes Act, and to demonstrate best practices through embracing culture change. 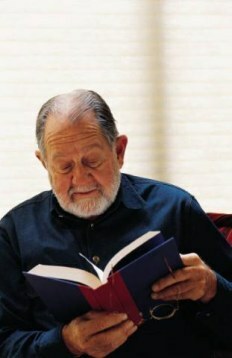 The guide was written in consultation with residents and staff members in long-term care homes. To order hard copies of the guide, in French or English, for $35.00 each (shipping included), please download and complete the order form and forward with payment (by cheque or money order) to OARC. OARC has highlighted excerpts from the LTCHA, 2007 and Regulation 79/10 addressing specific clauses that outline the rights, roles and responsibilities of residents as members of Residents’ Councils. OARC has provided brief explanations in blue text to assist you in understanding these critical aspects of the law. 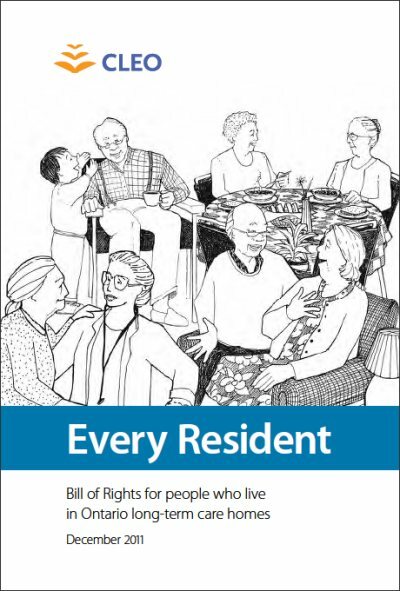 EVERY RESIDENT BOOKLET – a booklet on the Bill of Rights for people who live in Ontario long-term care homes produced by CLEO (Community Legal Education Ontario). Printing and making your very own Residents Bill of Rights pocket sized booklet. Step 3. Manually flip pages 1 and 2 over and feed or place into printer. You've just created your very own Residents Bill of Rights booklet, Enjoy! OARC and the Ontario Osteoporosis Strategy for Long-Term Care have teamed up to help strengthen and advance residents’ awareness and knowledge of osteoporosis and fracture prevention in long-term care homes. “Keeping it Together” is a Resident Conversation Sheet about osteoporosis. Designed to help residents be informed and involved in minimizing risk. Thereby helping to promote good bone health among LTC residents, with a view to improving the quality of life for all residents. Click here to download the Conversation Sheet. SEASONS - a quarterly newsletter containing news and information of interest to those living and working in long-term care homes. OARC IN ACTION – a brief one to two page communication, published on an as needed basis, containing news and information of interest to those living and working in long-term care homes. Please note that OARC publications are available in French upon request. "If you work with the Residents Council in your Home, you can get useful and practical information from the many OARC publications."